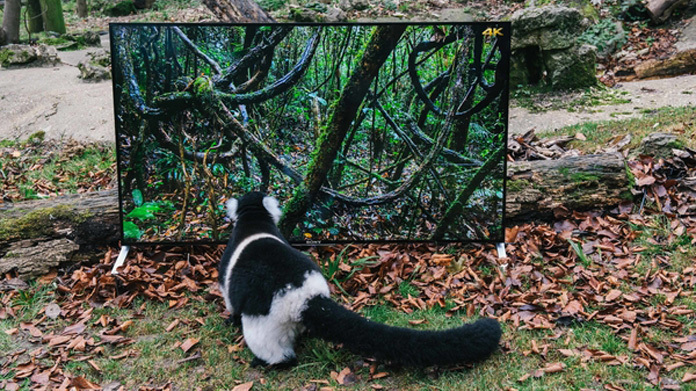 Our latest challenge from Sony: come up with a cunning, pan-European plan to get people talking about the clarity, colour and detail of the brand’s 4K, ultra-high definition TVs. 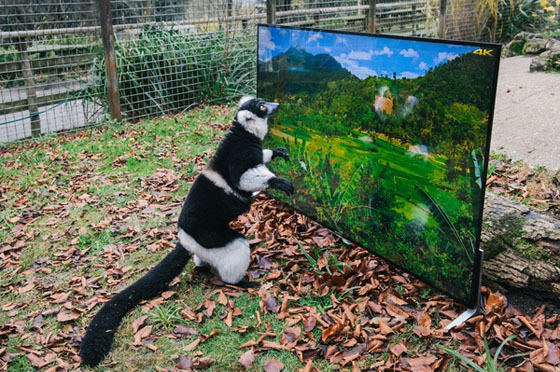 So quite obviously our response was to enlist the help of some lemurs and some langurs. Anyway, turns out that, at Port Lympne Reserve in Kent the team at the Aspinall Foundation were more than happy to work with us to see whether the realism of Sony’s sets would mean that the animals they planned to release back into their natural habitats could be helped with a preview of the homes for which they are bound. 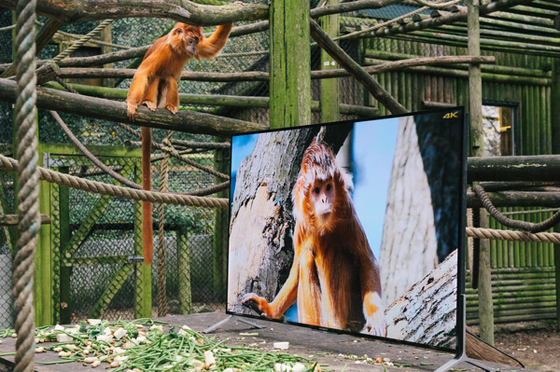 So it was that we worked with them to place any number of the Sony TVs into the enclosures occupied by said creatures. 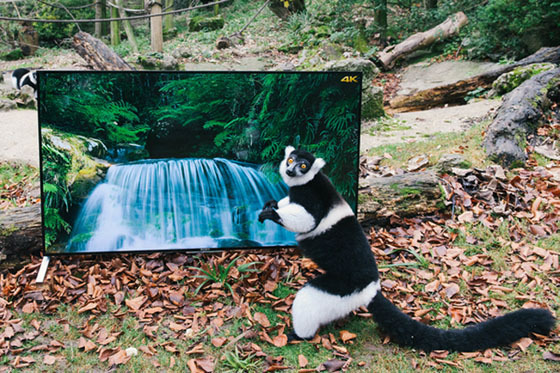 With images of the homes in the rainforests that the animals can look forward to, the conservationists reported that the sneaky peeks did have an impact. And what’s more, the story made perfect editorial across the continent as Sony’s network got stuck into making the whole experiment famous. As a result, we’ve had coverage all over Europe, with the Daily Express, Daily Star, Crave Online, Irish Tech News, DesignBoom, AudioVision, Digi-TV, PaperBlog, Zazoom … and a host of others besides.